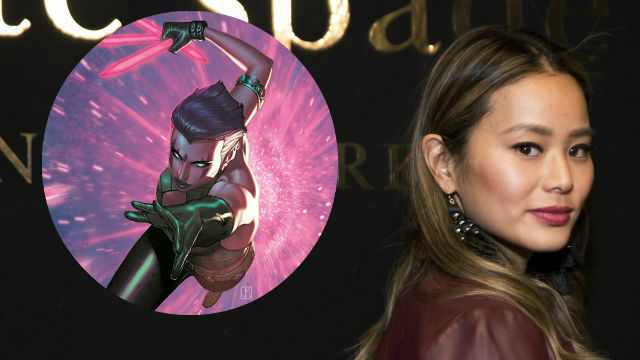 Marvel has announced that actress Jamie Chung has joined FOX’s upcoming X-Men series as Clarice Fong, better known as Blink, a sarcastic and lively tomboy. Clarice’s naturally strong exuberance has taken a hit after a sudden and traumatic upheaval of her life. As she adjusts to the new people and places that are suddenly ‘home,’ Clarice is slowly becoming herself again. Blink is an established character from the X-Men comics with the power of teleportation. She was previously played by Fan Bingbing on the big screen in X-Men: Days of Future Past. The still untitled X-Men TV series will focus on two ordinary parents who discover their children possess mutant powers. Forced to go on the run from a hostile government, the family joins up with an underground network of mutants and must fight to survive. Bryan Singer, having directed four of the X-Men films, including the first and second films in the core series and the two most recent entries (X-Men: Days of Future Past and X-Men: Apocalypse), is set to direct the pilot episode of the series. Matt Nix is writing the series, which will be produced by 20th Century Fox Television and Marvel Television, with 20th Century Fox handling physical production. What other X-Men characters would you like to see appear on this new X-Men series? Share your thoughts in the comments below!